I am going to try (in vain no doubt) to keep this blog post short and sweet. #TwitteratiChallenge is all about nominating 5 fellow educators who are your Twitter ‘go-to’ in times of challenge and critique, or for verification and support. It was begun by @TeacherToolkit and I was nominated by Kay Topping at Haslemere Museum, I failed miserably to respond in 7 days due to multiple hospital trips with various members of my family (yes, it has been one of those months). I was also nominated by Paolo Viscardi at the Horniman Museum (who will forever in our house be known as the Extreme Curator) but he has taken #TwitteratiChallenge and obviously didn’t fancy sticking to the rules so has created his own version #MuseumTwitterati. His aim is to broaden the focus beyond educators to ‘museumy’ people, and in the process hopefully create a good follow list of Twitter inspiration, you can read his post here. Anyone who has read any of my blogs knows I love museums / Twitter / blogging. So this is right up my street. But little did I realise how hard it would be! You can’t nominate anyone you work with, technically I don’t work(!) but to make it hard on myself I am not going to pick anyone from the Museum of London, RAF Museum or Horniman Museum, all places where I volunteer. Not everyone in my list blogs, but they all have a Twitter presence and are well worth a follow. 3 – Hellen Pethers @ohreallyhells – I am a librarian at heart and Hellen works as a Reader Services Librarian at the Natural History Museum @NHM_Library . She was incredibly welcoming and supportive when I visited to write a blog about their library, and she tweets about museum libraries which is always going to be a winner with me. What I love is how involved in her museums she is, working on Dino Sleepovers and getting involved in the museum she loves. If you want to understand a museum, you have to talk to people who work across the whole building, many museums have libraries but I feel they sadly get a bit overlooked. Following Hellen is like sitting in the library and opening a wonderful book in front of you, inspiration and wonder on every page. 4 – Molly Bretton @mollybretton – Molly is the Access Officer at Royal Academy of Arts. I had this impression of art galleries that they weren’t very open and accessible and Molly has really changed my view. I have witnessed family SEN session at the museum and talked to art practitioners and volunteers who work with many different group who don’t normally access museums and galleries. She is doing a fantastic job changing traditional perceptions and seeing her work has been a real eye opener. She has also been really supportive in my writing which as an outsider I can’t thank her enough for. 5 – Beth Redmond – @bredmondjones Beth is an autism in museums advocate working on the other side of the pond. She has been working on Autism mornings at the San Diego Museum of Natural History @SDNHM. There are so few of us out there tweeting about autism in museums it is important we stick together and learn from each other. America are way ahead of the curve in supporting families with autism and we could learn a lot from their approach. So there we go! Rules are listed below. Thank you to Kay, Paolo (and Katherine @art_e_facts) for your nominations, I am really touched. Lastly I would like to say not everyone is on Twitter (though it feels like everyone is), I get lots of support and inspiration from a whole host of people in different places. When I quit my job and started up on Twitter and volunteering I never dreamed I would connect with so many people virtually and in real life. I have a whole new museum life and it is mainly down to social media, Twitter and blogging. 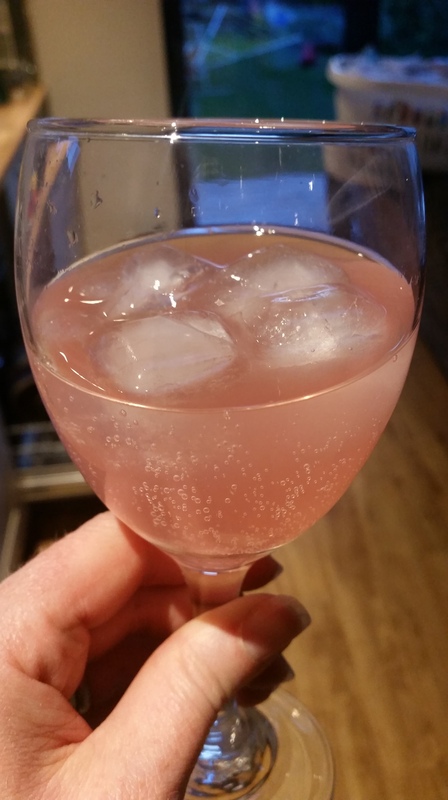 Bearing the original #TwitteratiChallenge in mind I am raising a glass of pink gin to you all, long may you tweet, may your blogs get ever longer and your #Twitterati crowns shine. You cannot knowingly include someone you work with in real life (ex-colleagues are fine, it’s a small sector and we’d run out of people in no time otherwise). Copy and paste the ‘Rules’ and ‘What to do’ information into your own blog post and be sure to cite @TeacherToolkit since they came up with the idea. Within 7 days of being nominated you must write your own blogpost identifying the top-5 museologists that you regularly go to for ideas, support and challenge. Share this on Twitter using the hashtag #MuseumTwitterati and tag them in – they are thus nominated. If you do not have your own blog, write your list by hand or on a computer, take a photo/screenshot and upload it to Twitter, tagging the people mentioned (yes, you can do that) and using the hashtag #MuseumTwitterati – they are thus nominated.